Eutelsat Communications’ (Paris:ETL) all-electric EUTELSAT 172B satellite has entered full commercial service and is now offering greatly enhanced flexibility, power and connectivity for users in a vast region stretching from the West coast of the Americas to Asia, Oceania and across the Pacific. 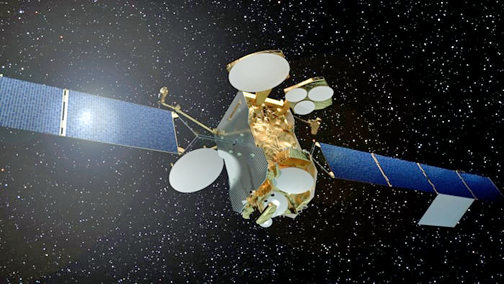 The transfer of services to EUTELSAT 172B from EUTELSAT 172A was completed seamlessly in a series of overnight maneuvers, releasing EUTELSAT 172A for an alternative orbital position to serve customers in the Asia-Pacific (APAC) region. Artistic rendition of the Eutelsat-172B satellite. Launched in June this year, EUTELSAT 172B sets a new benchmark as the fastest satellite to reach geostationary orbit using electric propulsion (in only four months) and the first optimized for in-flight connectivity across the Pacific. Its innovative High Throughput payload, consisting of 11 spotbeams, will transform efficiency by enabling power to be dynamically allocated as aircraft fly high traffic routes in the Asia Pacific region. This step change will allow Panasonic, the major client of the HTS payload, to better meet passenger demand and cost-effectively ensure consistently high levels of service to airlines. In addition to the HTS payload, EUTELSAT 172B significantly increases regular bandwidth at the 172° East position, with C-band capacity as well as flexible Ku-band capacity spread across five interconnecting widebeam service areas. Beyond maritime, video, enterprise, cellular backhaul and government services, the Ku-band capacity will serve as an overlay to economically deliver live television to passengers in flight. Rodolphe Belmer, Eutelsat CEO, said that as EUTELSAT 172B begins commercial activity that will stretch into the 2030s, this is a key moment to thank the men and women at Eutelsat and the company's colleagues at Airbus for collaborating passionately on a program that sets a new industry standard. 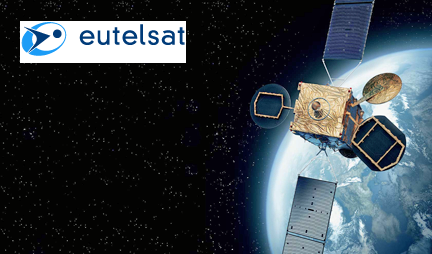 In addition to taking Eutelsat's 172° East location to a new level of performance for clients in the Asia-Pacific, EUTELSAT 172B further validates the value of electric propulsion for high-capacity satellites that are core to providing cost-competitive services in the telecoms marketplace.